Baraki Seller, candidate for S.C. Lt. 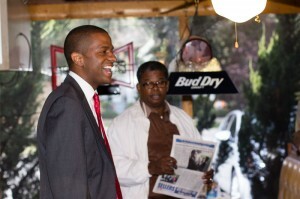 Governor, at a campaign stop in Johnston, October 31. Two Democratic candidates running in the General Election made their way to Edgefield County and Johnston on Friday, October 31, a few days before the November 4 election. They are Bakari Sellers, running for Lieutenant Governor of S.C. and Barbara Jo Mullis running for Congress, District III. They came to expound on issues and to garner votes. 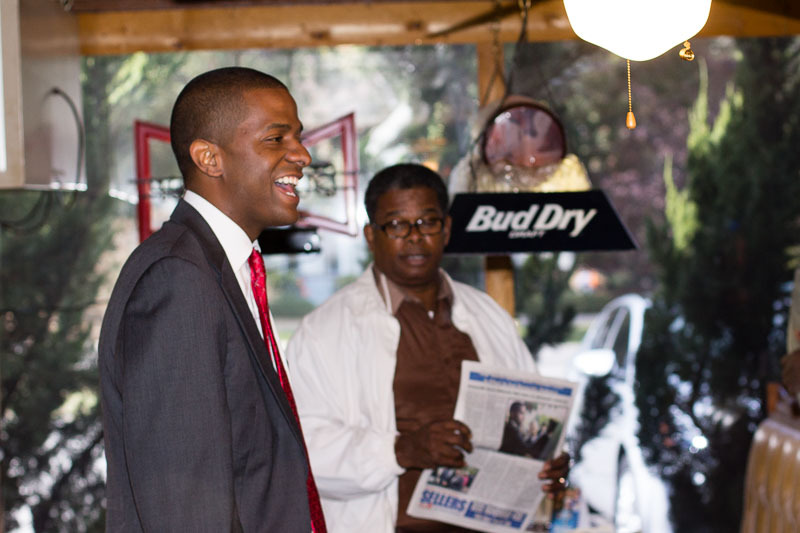 Bakari Sellers was elected to the S.C. General Assembly at the young age of 21 and has served four terms. He is a graduate of Moorehouse College and USC Law School and just turned 30. He has a plan for helping the seniors of South Carolina, a mission of S.C.’s Lieutenant Governor, and is bringing that message over the state as he campaigns in these final days before the election. His opponent in this race is Republican Henry McMasters. Barbara Jo Mullis has been to this county earlier in the campaign and returned this Friday to remind folks of her campaign. She is a retired teacher whose wishes to serve go beyond the field of education, as pointed out in her ad in the print edition of The Advertiser this week. She is running against Republican incumbent Jeff Duncan. 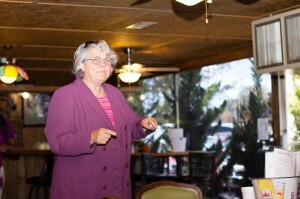 Barbara Jo Mullis, candidate for the 3rd S.C. District of the U.S. House of Representatives, at a campaign stop in Johnston, October 31.